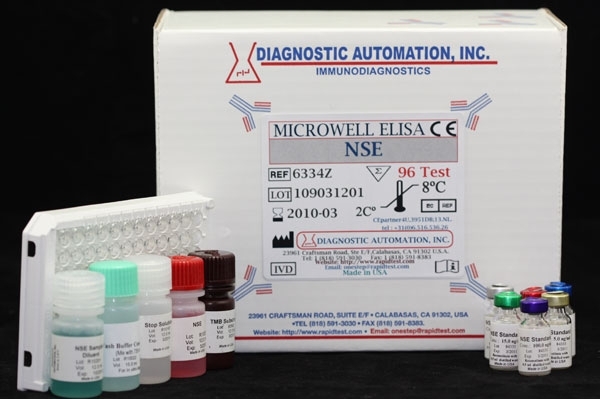 CA-19-9 ELISA kit | CE-GMP | 818-591 3030-USA. 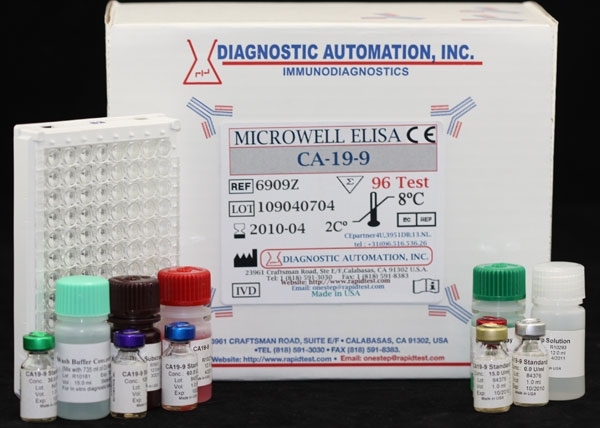 The CA19-9 EIA test kit is an ELISA assay for the quantitative measurement of CA19-9 in human serum. 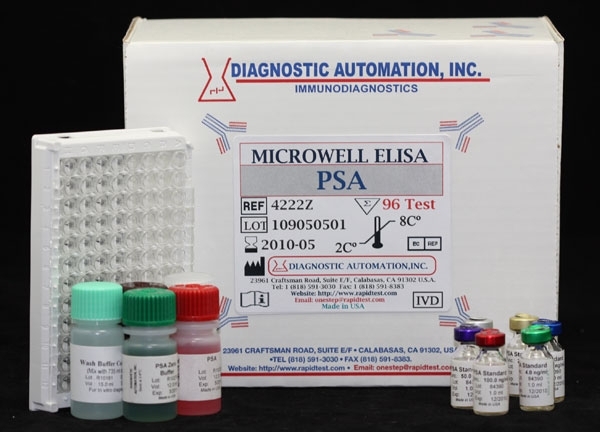 CA19-9 elisa kit is intended for use as a monitoring and screening test for breast cancer. CA19-9 represents the most important and basic carbohydrate tumor marker. Recent reports indicate that the serum CA19-9 level is frequently elevated in the serum of subjects with various gastrointestinal malignancies, such as pancreatic, colorectal, gastric and hepatic carcinomas. Together with CEA, elevated CA19-9 is suggestive of gallbladder neoplasm in the setting of inflammatory gallbladder disease. A persistently rising serum CA19-9 value may be associated with progressive malignant disease and poor therapeutic response. A declining CA19-9 value may be indicative of a favorable prognosis and good response to treatment. 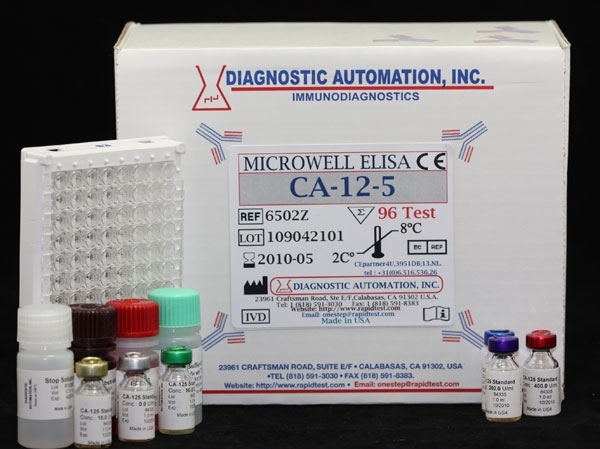 The CA19-9 EIA test is a solid phase two-site immunoassay. The molecules of CA199 are sandwiched between two monoclonal antibodies. One coated to the bottom of the wells of the microtiter plates and the other linked to the horseradish peroxidase enzyme conjugate. After incubation and washing, the enzymatic reaction develops a color which is proportional to the amount of CA199 molecules present in the assay. For additional details please refer to the instructions for use. Product inserts for all Cancer ELISA kits follow a similar method. 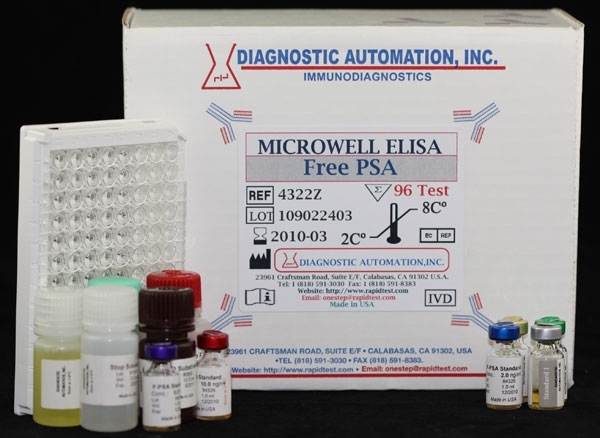 See the CA199 ELISA Kit product insert for specific details on preparation, procedures, quality control, and test result interpretation.